Although 2 Corinthians 6:14-15 are often applied to various sorts of alliances (e.g., mixed marriages, improper business associations), Paul’s primary ASSOCIATION was probably churchly. The CONTEXT of these verses was the leaning tendency of the church at Corinth to listen to and accept the teachings of FALSE TEACHERS and those masquerading in the gatherings of the saints as APOSTLES of Christ. These false teachers and apostles continually competed for the affections and allegiance of the Corinthian believers, criticizing and lying about Paul in the process. “So don’t get ahead of the Master and jump to conclusions with your judgments before all the evidence is in. When he comes, he will bring out in the open and place in evidence all kinds of things we never even dreamed of–inner motives and purposes and prayers. Only then will any one of us get to hear the “Well done!” of God” [The MESSAGE Bible]. In 2 Corinthians 6:3-13, Paul defends his ministry. Showing that he had sacrificed his personal comforts in order to minister to the Corinthian church, Paul points to something obviously missing from the ministry of the false teachers and false apostles. The false teachers and apostles were merely after a following, ‘fill them church pews on Sunday mornings’, and undue respect and position. In 2 Corinthians 6:14-18, Paul urges the saints in Corinth to make a judgment, be discriminating concerning the teachers they heard, for some of these people were not real followers of Jesus. However, Paul also wanted to drive home the point that they shouldn’t try to live with one foot in the world, and one foot in the teachings of Christ. What they truly believed would affect how they behaved. They couldn’t live for Christ while spiritually straddling the fence. The word “unrighteousness” [“wickedness”] refers to “lawlessness”. The word “communion” is interesting, in that it “…involves close relationship (Arndt), as in marriage or as in the spiritual relationship with God (c.f. 2 Cor. 13:14; 1 Cor. 1:9; 1 John 1:3, 6). Paul is simply saying here that the child of God cannot be close to God while at the same time living in the ways of the world. Many Christians suffer from a “spiritual” kind of Stockholm syndrome. We find ourselves sleeping with our enemy–the World. WORLDLINESS is more than a fixation on card playing, dancing, drinking at the local pub after church on Sundays. True Worldliness is being caught in a sticky web of comments to self. The word “Belial” in verse 15 is a synonym for Satan. QUESTION #3. “Can there be any PARTICIPATION with the World? The word “AGREEMENT” carries the idea of “…a sympathetic union of mind and a will in a plan mutually agreed to” [Dictionary.com]. Terminate SIN, don’t toy with it! (2 Cor. 6:17; Eph. 5:11). Now that you have ruined your life, you’re beyond God’s use and you might as well enjoy the ride (sinning)! Learn to say no, asking the Holy Spirit to help you. LIVING IN THE SPIRIT IS A MUST!!! “Do you not know that your body is the temple (the very sanctuary) of the Holy Spirit Who lives within you. Whom you have received [as a Gift] from God? You are not on your own” (AMP). “I will live with them and walk among them, and I will be their God, and they will be my people” (NIV). “So I say, walk by the Spirit, and you will not gratify the desires of the flesh” (NIV). “LIVING IN THE SPIRIT” doesn’t mean that a prayer thrown out to God after discovering we’ve sinned is being in the Spirit. It’s a moment by moment experience in our living with complete surrender to God’s Spirit. My QUEST: May not a single moment go by in my life that is spent outside the light, love, and joy of God’s presence and not a moment without the entire surrender of my self as a vessel for Him to fill with His Spirit and His Love! We Must Shine as Lights in the World. The apostle Paul emphasizes the same LIGHT in his letter to the church at Ephesus. “For once you were in darkness, but now you are LIGHT in the Lord; walk as children of LIGHT [lead the lives of those native-born to the Light]” (AMP). So, does our WALK backup our TALK? Here’s where CHARACTER DEVELOPMENT comes in to play. Our Character is best described as “the sum of moral qualities associated with a person and suggests ethical strength and excellence. It is about doing what is right, regardless of what is convenient or popular.” [Charizma Magazine]. The character of a person is comprised of the core principles and values of who we really are, both inwardly and outwardly, in your behavior and relationships. That’s not just in Christian assemblies, but wherever you spend your time during the day (e.g. work, social gatherings, grocery stores…). Even good old-fashioned manners are basic to good character. But because so few Christians exhibit these traits, there has become a huge credibility gap in society and church today. Many of our unbelieving associations in observing our everyday CHARACTER consider us a bunch of hypocrites. We want to win the lost for the LORD…”A LIGHT ON THE HILL” but they won’t listen to us, because they only see the glaring inconsistency between our MESSAGE and our lifestyle. Is your HONESTY, your CHARACTER above question? WE MUST BE LOVERS OF ONE ANOTHER! “By this shall all [men] know that you are My disciples if you love one another” [if you keep on showing love among yourselves]. Paul taught that the corrupt ways of the WORLD are totally incompatible with the LIFE that’s in Christ Jesus. The Apostle has asked the church some searching questions to point out the absurdity of Christians trying to straddle the spiritual fence in their daily lives. Dictionary: Dictionary.com – used for this blog. Bible Translations: New International Version (NIV); Amplified Bible (AMP); other translations used are noted. In my last blog, I listed the four cups of the Passover seder. We know that Jesus was Jewish and that led the Passover Seder or the Last Supper, using the same elements as the original Passover. Let me give you a sampling of what took place that Thursday night before His crucifixion and resurrection. We Answer the Questions. “And ye shall observe this thing for an ordinance to thee and thy sons forever”. Exodus 12:24. The Passover Lamb—Pesakh “The blood will be a sign for you on the houses where you are; and when I see blood, I will pass over you.” Exodus 12:13. This is when all Jewish believers in Christ Jesus would collectively speak, “We who have trusted Yeshua the Messiah, believe He is the Lamb of God, our Passover. Like the ancient Israelites, we know that it was God Himself, and not an angel, God Himself, and not a seraph, God Himself, and not a messenger, who achieved final redemption from sin and death. God Himself, through Jesus (Yeshua), who takes away the sin of the world.” Even if you are not a Messianic believer, the truths are still evident. What I have listed is a part of the Passover Seder. My intention is not to say that ALL churches should conduct their “Communion services” in the same way. What I am saying is, the significance or focus should bring us into the “remembrances” of the Why’s, the What’s and the How’s of communion. (1 Corinthians 10:16-17, 31). How are we preparing on Sunday communions? Has it become mundane? That was a good introduction in discussing “The Fourth Cup” of Passover or in Communion. The Cup of Consummation or “The Fourth Cup”. Turn to Matthew 26:29. Jesus is reclining on the floor and leading the Passover Seder when He says, “I say to you, I shall not drink again of this fruit of the vine until that day when I drink it with you new and of superior quality in My Father’s kingdom.” The cup of SANCTIFICATION in Matthew is not mentioned after the resurrection because of what Jesus said in Matt. 26:29 and Revelation 19:9. Is their OBEDIENCE to the Word when we take “communion”? Do we understand what we are doing? Are we really participating? Are we releasing anyone who has harmed us physically, emotionally or spiritually before we receive the elements of communion? I will uncover my findings through out my blogs. As the Lord spoke these words of encouragement to Moses, He revealed to His servant the plan by which He would redeem the children of Israel. At Passover, we celebrate these promises of redemption and relationship by drinking from our cups four times. With each cup, let us remember the life that God desires. *Footnote: from Perry Stone’s, “The Meal that Heals”. I would like to start my blog today with some quotes from a little book I found in my library this morning. It is called. “The Quiet Revival” written and co-written by Dean and Susan Wheelock. “As we looked into the connection between our understandings as Believers in Yeshua HaMashiach (Jesus the Messiah) and those commonly found in the Jewish faith, we discovered numerous parallels.” In my next few blogs, I am going to attempt show by uncovering evidence of the “Communion and Passover Connection“. Since Easter is on most of our minds this month anyway, why not begin here! In order to “rightly divide the word of truth,” we must turn back to God’s Instruction Book: The Torah (Toh-rah=the first five books of the ‘Old Testament:’ Genesis, Exodus, Leviticus, Numbers and Deuteronomy). Just as the Tanakh (Old Testament) is strictly a Hebrew book, so too is the Brit Chadasha (New Testament), where all of the authors except one are identified within each book individually. I have come to the general conclusion, that to get a better grasp on the Communion we participate in our Christian churches, we need to see the connection to the Jewish Passover. With Easter coming soon, I have decided to relate my detective work in the next blogs. I picked out some key words in the Leader’s portion of the “Preparing for Passover“. 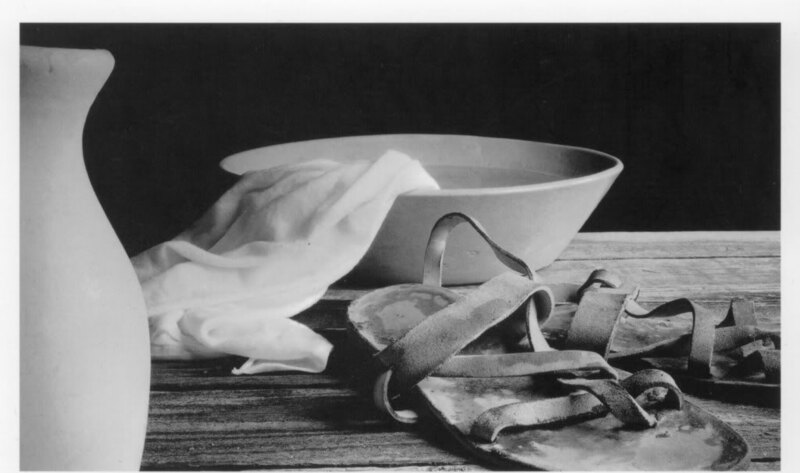 Are we preparing for Communion in our monthly, weekly, daily rituals in the same way Jesus prepared and led for the Passover? #1. “Eagerly desired” to participate. #2. A celebration of redemption. Over 3500 years ago the Hebrew people had become slaves to the Egyptians. The king of Egypt. or Pharaoh, was unwilling to release the Hebrews and allow them to return to Israel. God sent 10 plagues on Egypt. The end result was that Pharaoh released the Hebrew nation, consisting of 600,000 men of war, not counting the women and children. Most of us know about the story in Exodus 11:5. To protect the Hebrews from the destroying angel, God required each Hebrew family to take a young lamb, place the blood on the left, right and top post of the door to the house, and eat all of the lamb before midnight (Exodus 12:7, 8). The miracle was two-fold: they were healed and they were protected. By eating the lamb, the Hebrews experienced supernatural healing, as indicated in Psalm 105:37. The other miracle was that the blood on the outside doorposts kept the angel from entering the homes marked with lamb’s blood. The Hebrew families were protected from both sickness and death as a result of the blood and body of the lamb. God promised that their obedience of marking the door by the lamb’s blood would cause death to “pass over” their houses. (Exodus 12:13). The Hebrew word for “Passover” is Pesach, and refers to “skipping over, to leap or dance.” Each year religious Jews conduct a Passover seder in which they tell the amazing story of the deliverance from Egypt. During this season bread is baked without leaven, recalling how the Hebrews did not have time to put leaven in their bread before departing from Egypt. As you probably already know, today yeast is a leaven which causes the bread to rise. 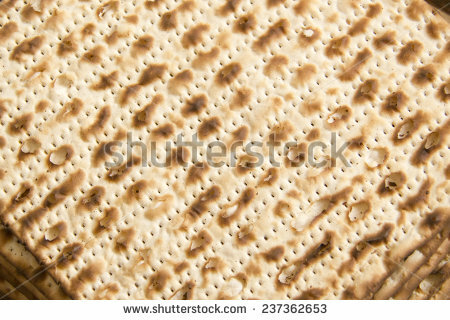 The Hebrews didn’t have time for this “rising” to occur; thus the unleavened bread making. Getting any connecting pictures yet? If not, you will soon. The first cup is called the cup of sanctification. The second cup is called the cup of affliction. The fourth cup is the cup of consummation or Hallel. As a backlash to Judaism and religious formality, I believe churches today have become expedient toward the “Communion”. To the best of my knowledge, we don’t treat Communion as a celebration. In the Hebrew language “Hallel” was worship at the highest point of celebration. We have taken “communion” as a ritual that must fit in with time constraints of the morning worship service. Communion should not become a ‘side-track’ in our morning services. We actually spend more time in “fellowship” than we do in “communion”. If “Communion” isn’t a celebration at your church…then keep following along with me. If you are just curious, that’s okay too. I will look next into some revealing evidence; our connections towards Communion and Passover.